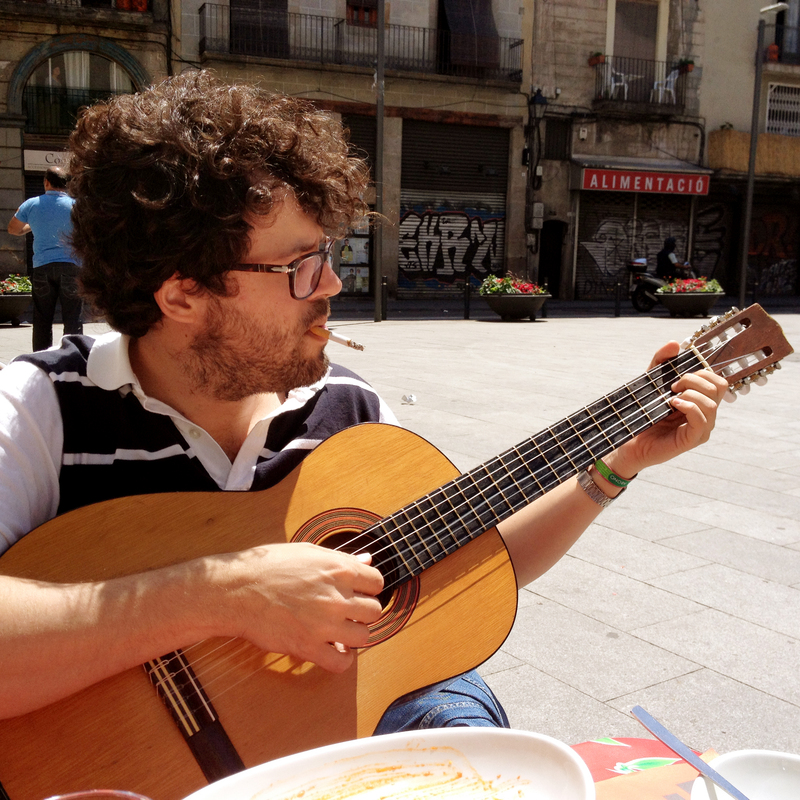 My guitar playing days started with electric guitars and I never really cared much for acoustics until I moved to Spain in 2010 and now acoustic guitars are my main passion in life. 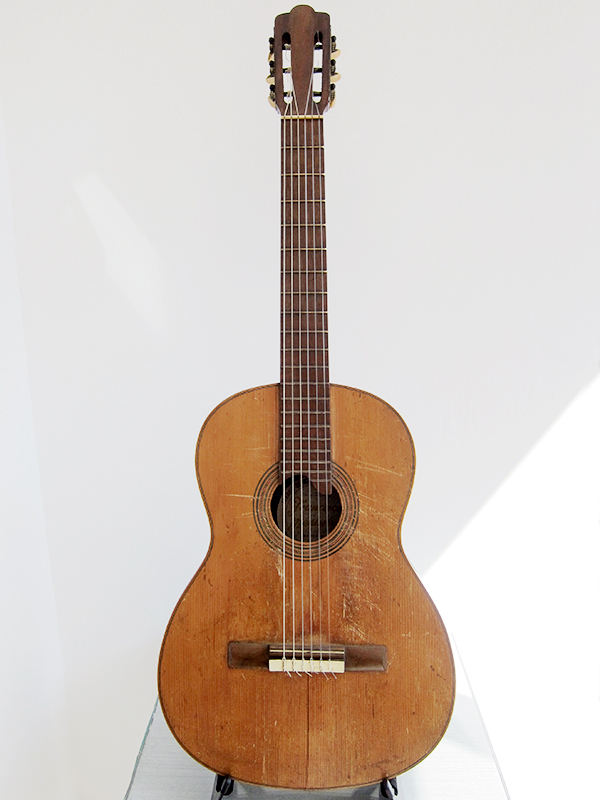 Another thing I never used to pay much attention to was Spanish guitars but after moving here I have occasionally come across some that I really liked, especially my Francisca Montserrat but also the Juan Estruch I got for my friend Rafa. 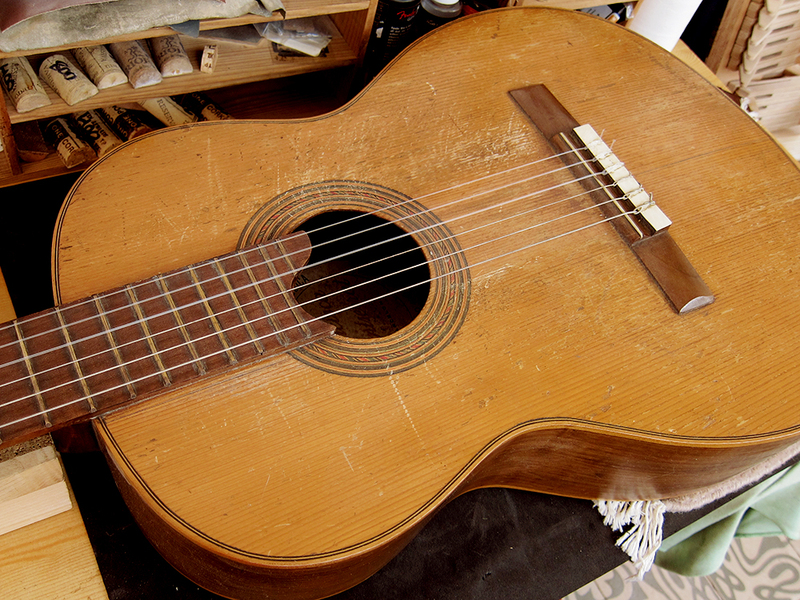 This is one of them, a Rubenca Spanish guitar made in Zaragoza most likely in the 1960’s. The only info I found about the brand is that Rubenca is music store in Zaragoza that is still in business so I assume these guitars were made somewhere in the area and sold as their own brand, unless they made guitars themselves back then. 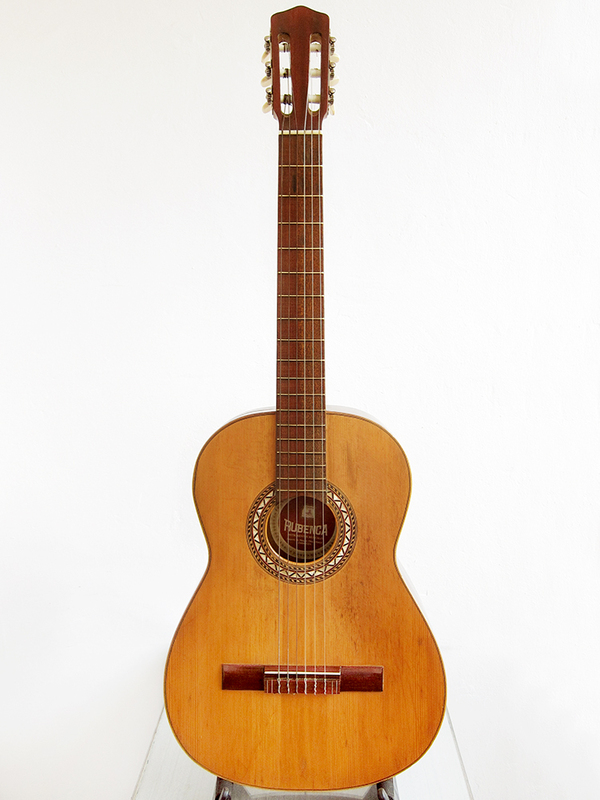 Like most Spanish guitars from the 1960-70’s it has some parts that is way above what you expect, like all solid woods, how well they sound and especially the fancy mother of pearl inlays around the soundhole on this Rubenca. At the same time I’m always surprised how cheaply looking the fretboards tend to be, why they never bothered to smooth out the frets, why the braces seems to be cut with a freaking axe or why the machine heads never work after 50 years. I found this Rubenca when I was down in the south a couple of weeks ago to see my wife’s family. I bought it for the fancy inlays, I’ve never seen anything like that on a Spanish guitar before, but was straight away taken by the the sound and quality of the guitar. 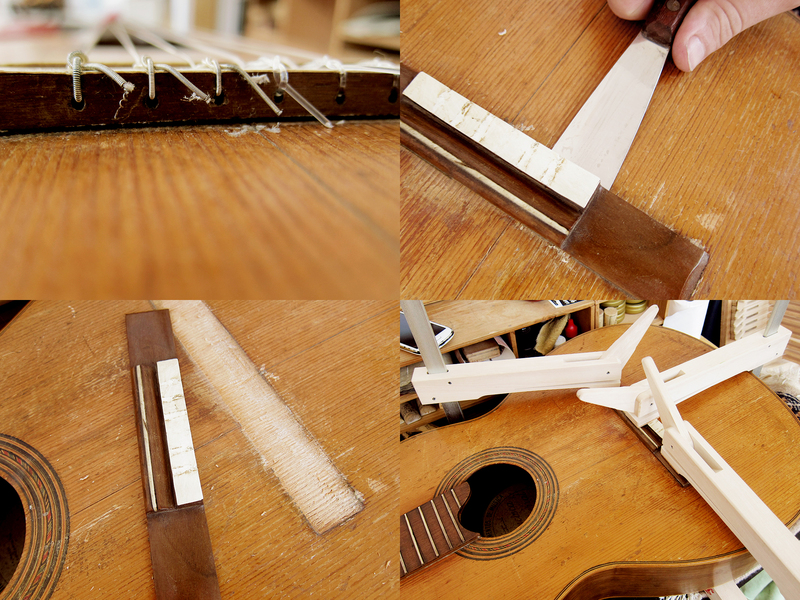 The original machine heads still work, the neck is straight and the action is still ok for a guitar that lacks trussrod. I actually didn’t have to do much more than to give it a good clean when I got it. This guitar is for sale, even though I like it a lot, but I can’t justify having more than one Spanish guitar since I hardly play them. 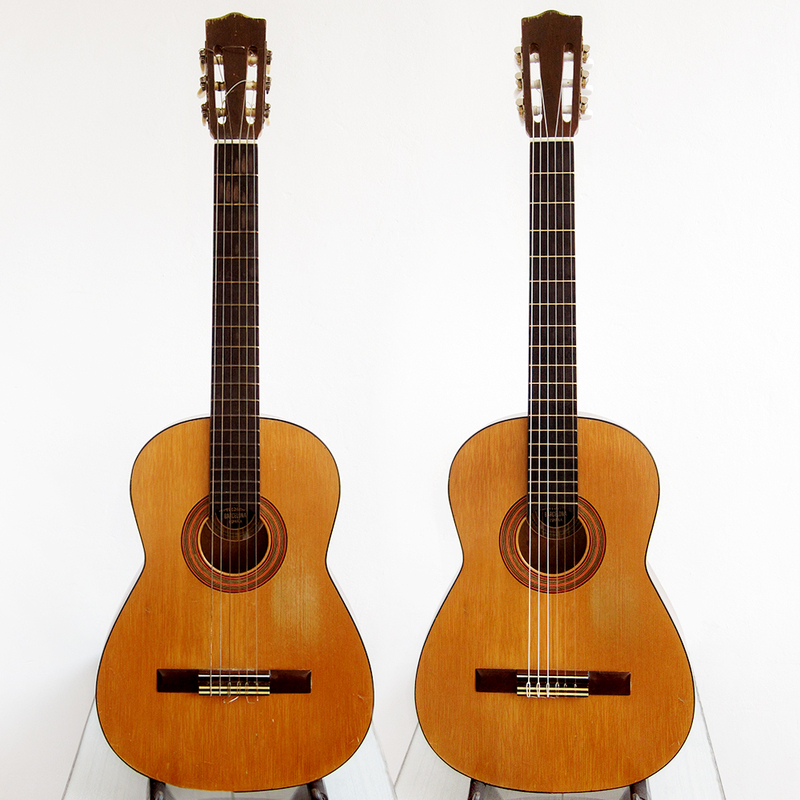 Guitarras de artesanía, Artículos J.A.R. I found this guitar in a Cash converters last week and felt so sorry for it. It had a broken head, a cracked brace, loose back and looked so sad that I felt I had to save it and bring it back to life. A week later she is up and running and sounds pretty damn sweet. I couldn’t find any info about the brand so if anyone knows anything more about it then please get in touch. It has a solid spruce top and what looks to me like solid maple back and sides. 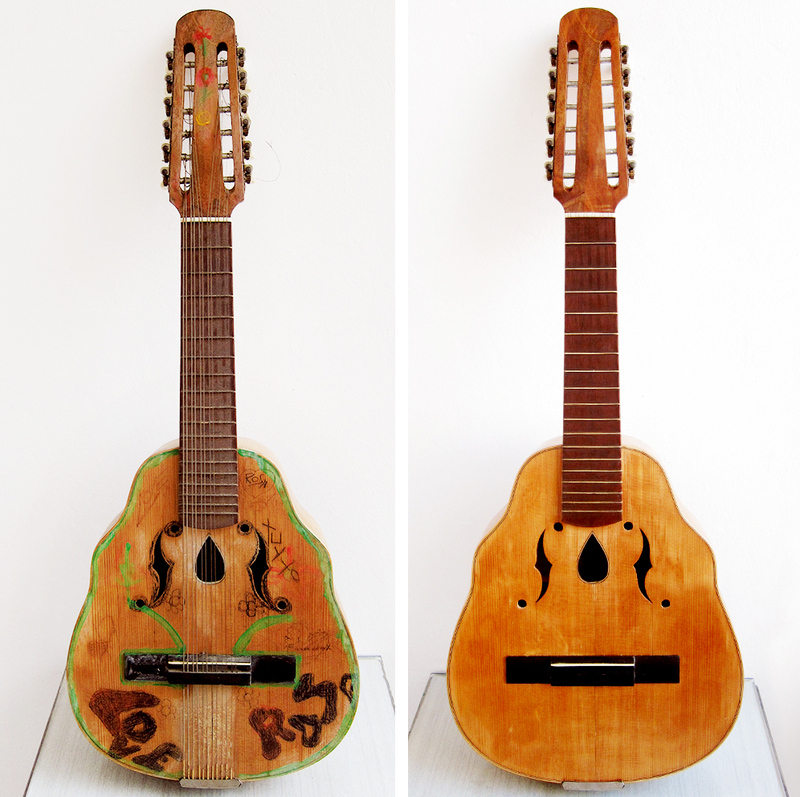 It says “Guitarras de artesanía” which should indicate hand crafted but I’m not sure, quality wise it feels pretty much like the Juan Estruch I got for my friend Rafa’s birthday. 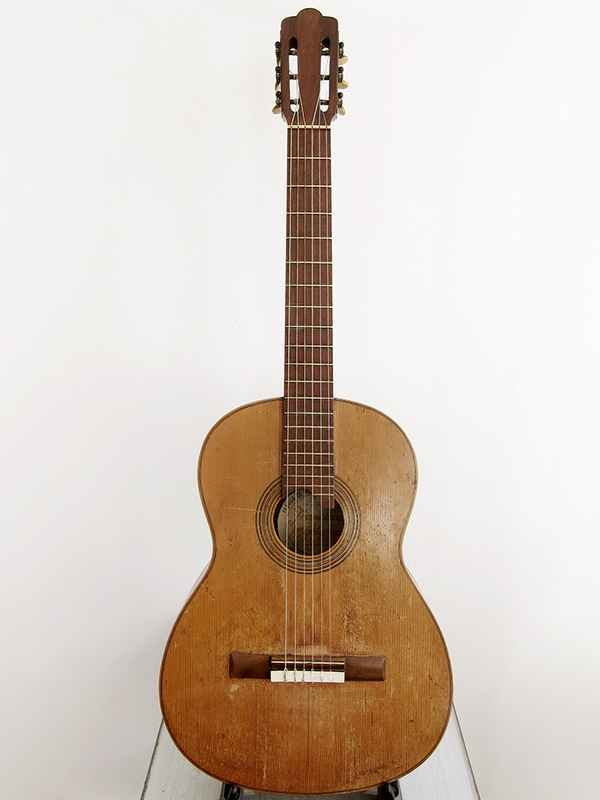 Perhaps all Spanish guitars were more or less hand crafted back then, the big business guitar factories hadn’t really kicked in yet. I have put this guitar up for sale since I mainly play steel string acoustic guitars and on top of that I have a Francisca Montserrat that I really like. First I had to try to clean her up, I have never seen a top with that much grease and grime. I used a normal furniture spray and a toothbrush, it worked like a charm. 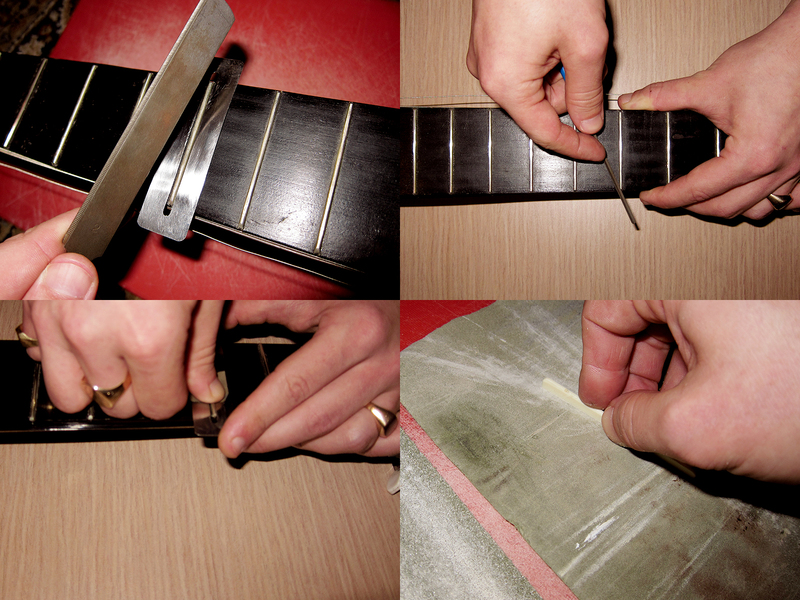 When I had cleaned the fretboard I polished the frets and oiled up the fretboard with lemon oil. She came out looking pretty descent after that. Now I just had to take care of the broken head and glue the back. I have actually never glued a head on before but I assumed that you do something like this. I used to thin pieces of wood on each side to stabilise it and keep things in place, and also for not damaging the head any further with the force of the clamps. I guess it could have worked with normal wood glue too but I used my trusty old fish glue that I use for pretty much everything when it comes to guitars. It came out looking very solid after being clamped for 48 hours. I also glued the open back and a cracked brace, which was pretty straight forward. The machine heads was broken on one side so I replaced them with the leftovers from the Juan Estruch I fixed last year. They don’t match exactly but at least they are from the same time and region, that’s close enough for me. Compared to the state I found her in I think she is looking pretty good. More images can be found here. When Araceli and I first moved to Barcelona we found this Laúd in the streets, we took it home, put it in the back of a wardrobe and completely forgot about it for four years. It was so ugly so we couldn’t have it out, on top of that we didn’t even know if it was a laúd, a bandurria or some other weird Spanish instrument. It was therefore tucked away and quickly forgotten. Until recently when Araceli’s dad Marcos mentioned that he wanted to learn to play a new string instrument, or as he put it, I need something new to make noise on. We suddenly remembered that ugly thing with strings on in the wardrobe and I thought that maybe I could restore it for him. 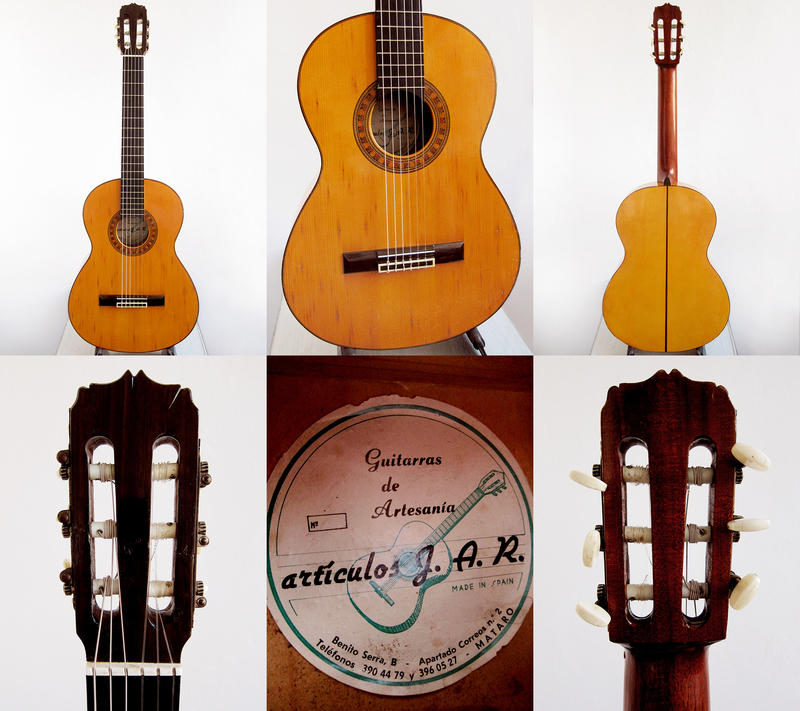 I mentioned earlier that we managed to find a really nice Spanish made Alhambra from the late 1970’s that we gave him for Christmas. I have no idea how old this laúd is but it was built by Casa Parramon here in Barcelona. The workshop was started in 1897 by Ramon Parramon and I think he mainly built violins. Casa Parramon is actually still in the same place today as they were 117 years ago, C/ Carme 8. Now I think they are mainly building violins again but I guess they would have had time to build both laúds, bandurrias and guitars over the last hundred years. 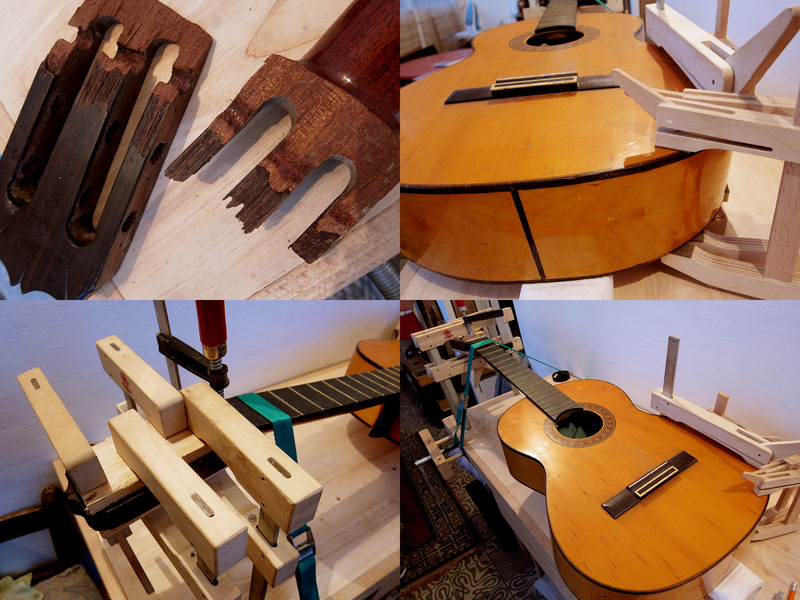 I stripped the laúd completely, took off machine heads, tail piece and bridge. I got the bridge off with a spatula heated on a normal clothes iron, it works like a charm every time. I cleaned and oiled the fretboard and polished the frets. Then I sanded down all the wood with an electric sander, this felt a bit harsh on an instrument but most of the text was actually scratched in to the wood and not painted on so I had to take out the heavy artillery. On top of that, the solid spruce top felt really thick so I thought that the sound might actually benefit from a thinner top. 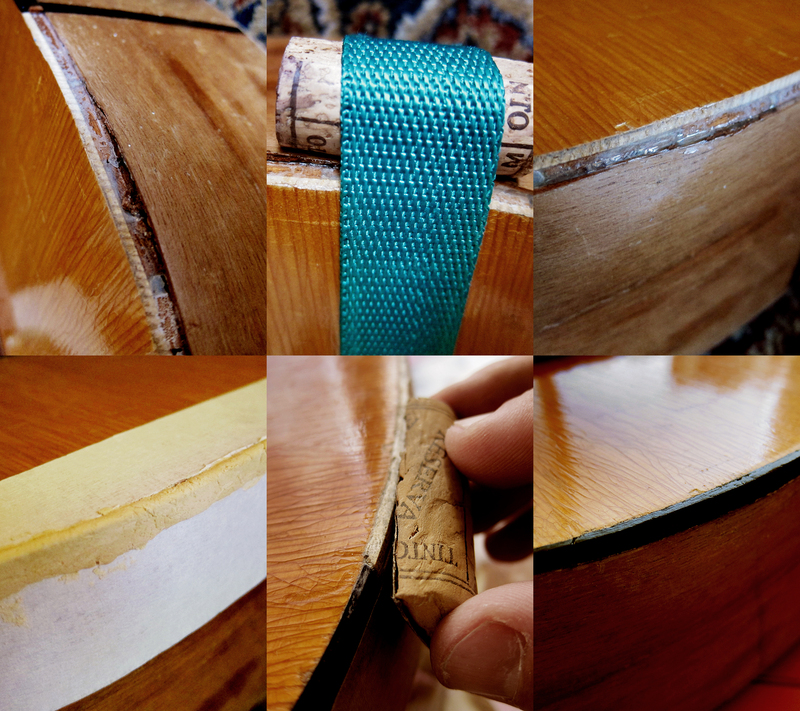 I glued some cracks in the top with my trusty old fish glue and then I waited and waited for the shellac I had ordered from Germany that unfortunately never arrived. I really wanted to use shellac on this instrument, both for practice for myself for future builds and projects, but also for the laúds sake, it felt like the healthiest option. In the end I went and bought normal clear lacquer, or varnish, I’m not really sure what the guy sold me but he said it would work and it did. It applied two coats and sanded lightly in between and it looks ok but I guess if I would have looked even better if I had spent more time on sanding and getting it super smooth in between the coats. I had to paint this at night in poor light and got some drips that should have been taken out properly, I just scraped them off with a razor and then applied new lacquer. I guess I have learnt a few things for the next time. One trick I can share though, that everyone might already know about but anyway. Before I started with the lacquer I marked out where the bridge was going to be and then masked that off with tape so I wouldn’t have to remove the lacquer before I glued the bridge back on and that worked really well. This beautiful old Alhambra arrived to the office yesterday. It’s a present for my father-in-law, Marcos. 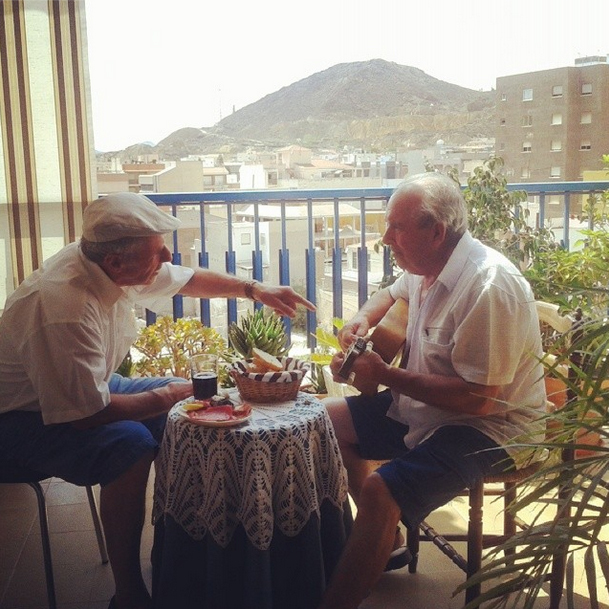 He picked up a guitar for the first time a couple of years ago when he was in his late Sixties, which proves that it’s never too late. Now he felt that he had outgrown his beginners guitar and wanted something else so Araceli and I bought this one for him. 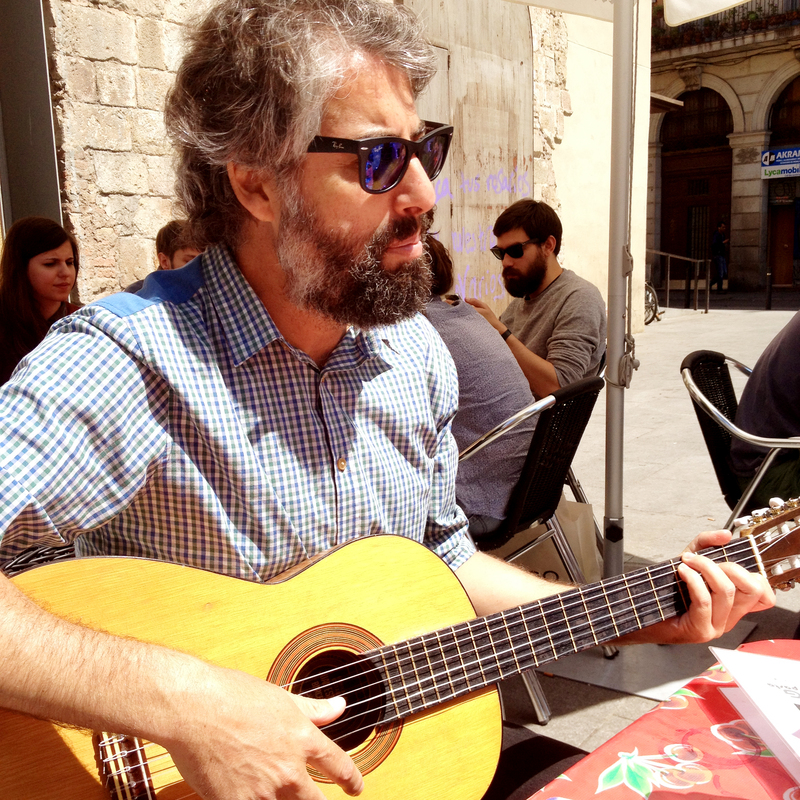 He really wanted an Alhambra, not only for their reputation but also because they are built in Muro de Alcoy, a small village in the mountains north of Alicante, not far from where Marcos grew up in Cartagena. The only problem is that the second hand markets for guitars in Spain is pretty bad and even worse in the South so his only option would have been to spend 700€ on a new one, the prices are quite high down there since there isn’t much competition. So we decided to help him out and found this fairly cheap from Germany on eBay. I wasn’t really sure what to expect, nowadays Alhambra is one of the worlds best and biggest guitar builders known for their great quality, but how were things 30-40 years ago? I had only played one once, a beat up Alhambra from 1976 that I found in a Cash Converter. 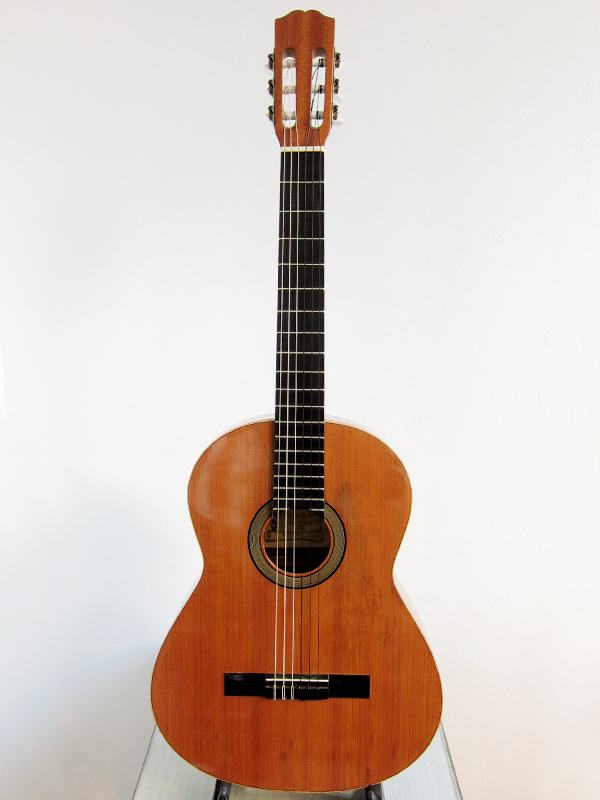 It had a terrible belly and the bridge was coming off too but they still wanted 120€ for it and refused to lower the price since it was an Alhambra. These Seventies models doesn’t seem to have any model indications so it’s hard to know if a certain guitar was made for the tourists in the 1960-70’s or if it was made to be played properly. The machine heads, fretboard and frets are on the cheaper side but the wood is amazing and they have really great tone. 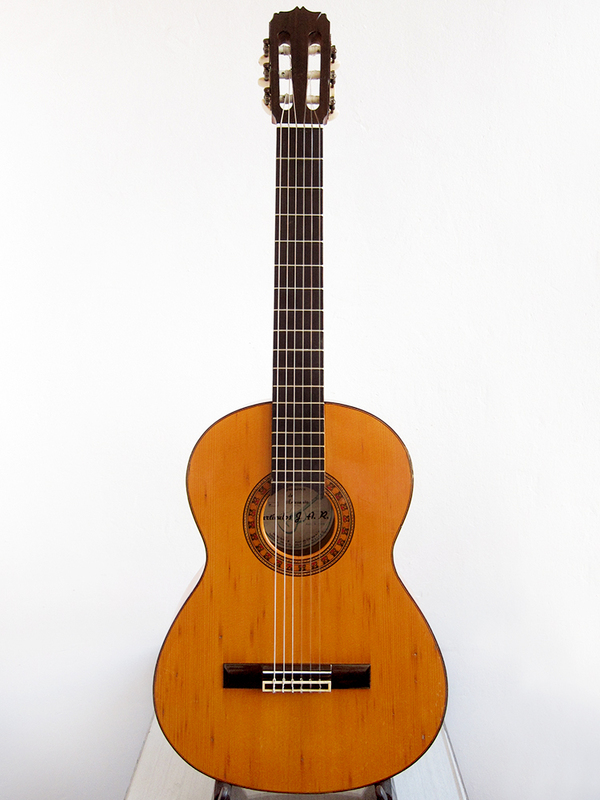 So even if this was made fairly cheap for a tourist to bring back home to Germany they still knew how to build great guitars because the volume and tone is far better than on any modern Spanish guitar that I have played lately. I levelled the frets a bit, crowned them and softened the edges and then polished everything. I also sanded down the saddle since the action was a bit high but now it feels nice and plays really well, maybe not as nice as my Francisca Montserrat but still. Now we just have to wait and see what Marcos feels about his new guitar, hopefully he will like it as much as Araceli and I do. The crisis has taken hard on the Spaniards and I think especially here in Barcelona you can really see the difference between the people with and without jobs. I have never seen so many men rummaging through the rubbish bins and collecting things to sell, ideally scrap metal. At the same time I have never seen so nice things being thrown out like they are worth nothing just because they are old. A couple of month ago my friends and I passed a guy with a shopping trolley full of scrap metal and an old guitar on top. I stopped him and asked how much he wanted for the guitar, without actually having any idea what it was or what shape it was in. He said 10€ and I bought it straight away. 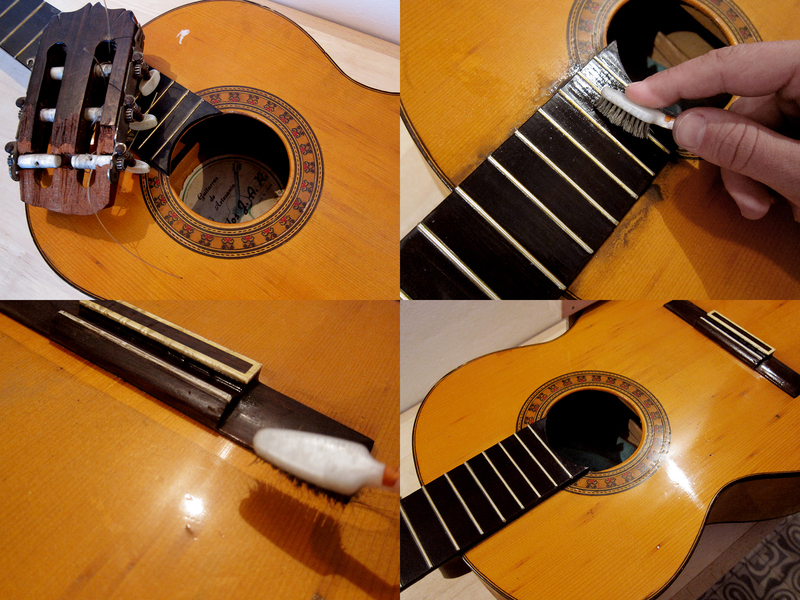 It was very dirty and in bad shape but after a bit of cleaning and new strings it turned out to be an amazing sounding and very easy to play little Flamenco guitar. I’m just happy that I managed to save a really nice guitar from a faith that could be way worse than being cherished and played by me and my friends.